Our passion for craft, innovation and discovery comes to life in an ever-evolving menu of coffee, cocktails and food. 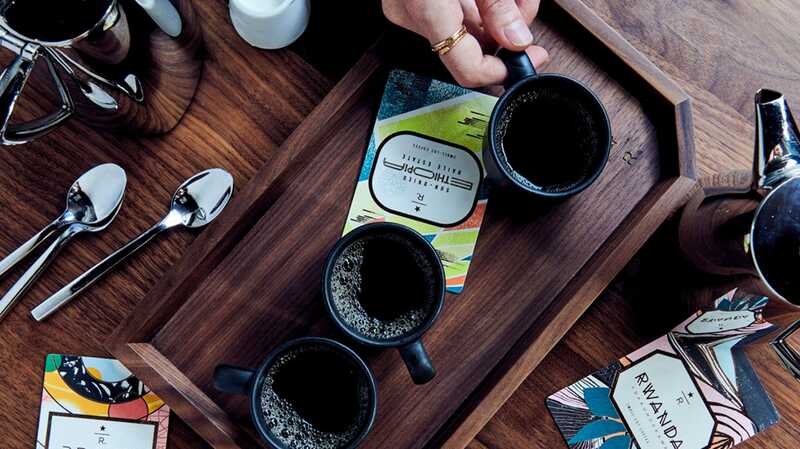 The best way to experience our Starbucks Reserve™ coffees. Three distinct Starbucks Reserve™ coffees prepared on the Clover® brewer. 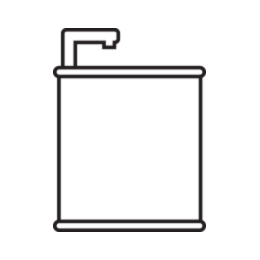 Reserve cold brew served two ways—one traditional, the other infused with nitrogen. Two cups of the same Starbucks Reserve™ coffee—one prepared on the Clover® brewer and the other on a pour-over. 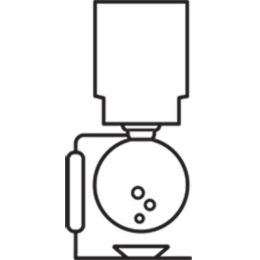 The finest brewing methods hold artistry, science and skill in perfect balance. Our master baristas unlock the distinct flavor profiles of each technique. Full-immersion and vacuum filtration yield exquisite balance and body. This precisely controlled pour-over system delivers a cleanly bright cup. 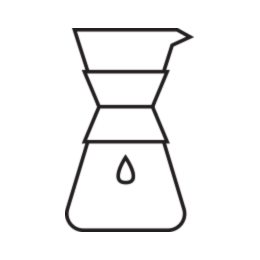 A classic method that retains the flavorful oils of the coffee for a rich, full-bodied cup. 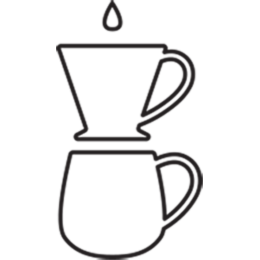 A specialized variation of pour-over that produces a rich, clean and flavorful cup. A stunning visual display creates a smooth, clean-tasting cup. From espresso classics to Roastery exclusives, these handcrafted drinks showcase the incredible flavors of Starbucks Reserve™. Starbucks Reserve™ espresso with dense, creamy foamed milk. Freshly pulled Starbucks Reserve™ espresso. Starbucks Reserve™ espresso marked with steamed milk and foam. Starbucks Reserve™ espresso and whipped cream. Starbucks Reserve™ espresso topped with hot water. Hot beverage made from roasted ground barley grains. Freshly pulled espresso whisked with steamed milk and mocha powder. Finished with foam and dark chocolate shavings. Free-poured steamed milk marked with slowly poured espresso shots. Espresso with steamed milk, lightly topped with foam. Ristretto espresso shots finished with steamed whole milk. Espresso, whole milk and barrel-aged vanilla syrup. 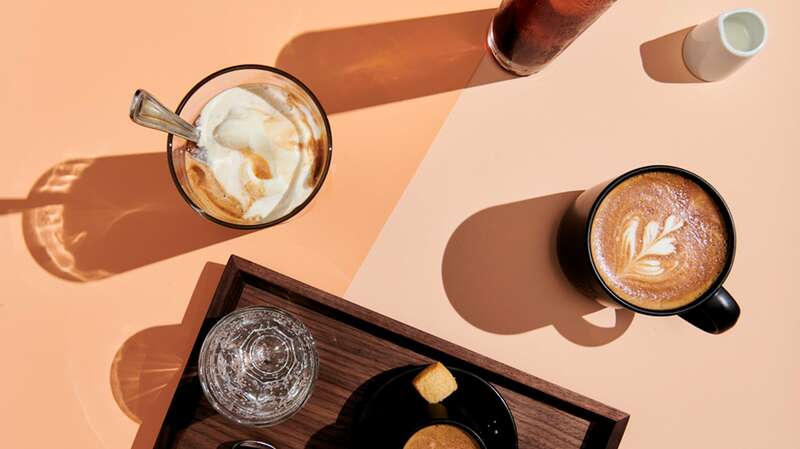 Starbucks Reserve™ cold brew infused with nitrogen to bring out coffee’s creamy, natural sweetness. 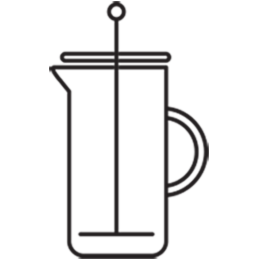 A velvety blend of espresso and cold, nitrogen-infused milk. Nitro cold brew poured through a whisked blend of nonfat milk and chocolate cream laced with chocolate bitters. Freshly brewed Peach Tranquility™ tea chilled and infused with nitrogen. Slow-steeped Starbucks Reserve™ cold brew served over ice, with or without sweet cream. Lightly sweetened cold brew, blood orange and fresh orange juice. Served over ice and garnished with an orange peel. Cold brew shaken with maple syrup and fresh lemon. Garnished with a Luxardo cherry, lemon twist and Demerara sugar. Cold brew and bitters finished with a Luxardo cherry. Our spirit-free version of the Manhattan. Cold brew and ginger ale infused with burnt cinnamon syrup and fresh lemon. Finished with lime and fresh mint. Whiskey Barrel-Aged Sulawesi Cold Brew lightly sweetened with barrel-aged vanilla syrup. Spirit-free. Two shots of espresso poured over aerated hazelnut milk. Served over ice. Single-origin Starbucks Reserve™ espresso combined with chocolate hazelnut milk. Orzo shaken with bitters and ice, suspended above ginger ale and finished with lemon. Orzo with steamed oat milk. Espresso suspended above barrel-aged vanilla syrup and chilled single cream. Espresso, water, Demerara syrup, finished with cold milk foam and fresh orange zest. Two shots of espresso poured over aerated meringue milk, served over ice and finished with cinnamon. Sweet and spicy combination of single-origin espresso and whole milk infused with small-batch smoked butterscotch. Topped with a hint of black pepper spice. Espresso shaken with ice and a hint of demerara syrup. Our classic shakerato served with a shot of fior di latte. Espresso, fresh mint and Demerara syrup, served over ice and finished with a refreshing sparkling float. In this bright and elegant creation, espresso is shaken with ice and poured over sparkling tonic and aromatic bitters, served over ice and garnished with a lemon wedge. Starbucks Reserve™ Dark Chocolate, steamed whole milk and Demerara whipped cream. Starbucks Reserve™ Dark Chocolate, cocoa, espresso and whole milk. We partnered with Alberto Marchetti, a gelato artisan originally from Turin, to create nitrogen-infused gelato and sorbetto. Made with Starbucks Reserve™ coffee and served with a shot of the same Roastery-exclusive blend. A stimulating blend of rich, smooth matcha, sweetened and blended with steamed milk. A beloved mix of black tea, cinnamon, cloves and ginger. Sweetened and blended with steamed milk. Citrus Lavender Sage tea shaken with muddled lemon, lime and orange slices, citrus elixir and ice. Topped with sparkling water. Silver Needle tea, fresh-cut strawberries, sparkling water and strawberry elixir finished with mint and a lemon twist. Chilled Gyokuro Genmaicha green tea with cardamom peach syrup and a lemon twist. Chilled Mandarin Mimosa tea, paprika syrup and grapefruit soda. Garnished with a paprika orange wheel and mint. Citrus Lavender Sage tea muddled and shaken with mint, turbinado sugar and lime. Finished with tonic and sparkling water. Craft cocktails inspired by Starbucks Reserve™ coffee and Teavana™ tea. We also offer classic cocktails, aperitivi, beer and wine. Choose from a base of Teavana™ Zen Clouds Oolong or Silver Needle tea, then select your personalized blend of botanicals and spices, ground fresh. Make it a cocktail by adding Absolut Elyx vodka and Cocchi Americano. A truly tailored tea service. We reconfigured our Emerald Mule (inspired by the Moscow Mule) with cold brew, mint, Absolut Elyx vodka, Fever-Tree Ginger Beer, lime juice, sugar and mint. Refreshing and plenty zingy. Modeled on a classic green Chartreuse cocktail, The Final Say offers a fresh interpretation driven by matcha, lime juice and blanco tequila. A coffee-infused Amarena cherry completes this little masterpiece. Herbaceous and revitalizing. A perfect union of hot and cool, Italian and American. Espresso with vanilla, topped with a tier of contrastingly cold, Luxardo amaretto-infused cream. Freshly grated cinnamon makes a perfect final flourish. Teavana™ Gyokuro Genmaicha and a dash of herbal liqueur put a bright, herbaceous twist on a standard Boulevardier—a darling of aperitivo. Finished with Wild Turkey 81, Campari and aromatic dry vermouth, this cocktail shines new light on a classic. A smooth base of Darjeeling de Triomphe, known as the Champagne of teas, is emboldened with a bracing mix of Dorothy Parker New York Gin, distilled spirits and a dash of orange bitters. Around the world in a sip. Earthy Japanese sencha, herbal Italian amaro and Ragtime Rye. Add acacia honey, lemon and orange. Light, invigorating and decidedly global. With tasting notes reminiscent of rum and cola, our coffee—Starbucks Reserve™ single-origin—inspired an odyssey. Namely: cold brew, Plantation 3 Stars White Rum, Velho Barreiro Silver Cachaçha, Fernet-Branca and Lurisia Chinotto soda for aromas of citrus, spice and bitter caramel. Chamomile tea, scotch blended with chamomile grappa liqueur, steamed milk, and acacia honey. The very thought of this warm cocktail lulls us into comfortable bliss. Served with a dusting of fresh nutmeg. Inspired by a classic. Smoky mezcal, tequila, St-Germain and bitters mingle with Earl Grey tea and lemon in the glass. 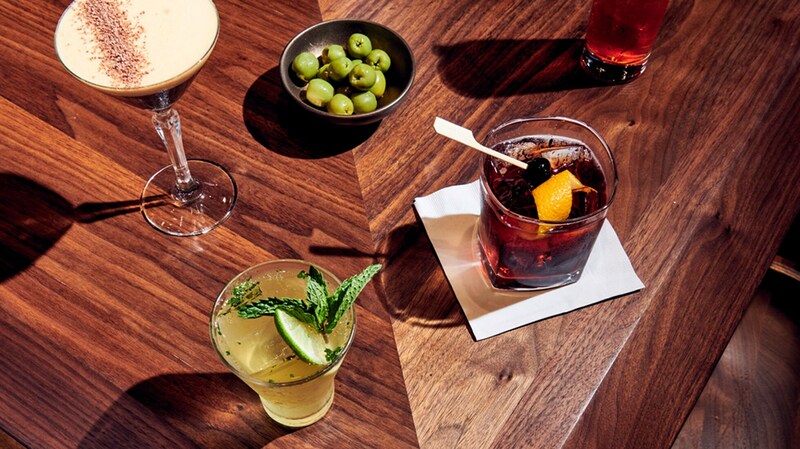 An ever-evolving experience, from the first pour to the final sip. We started with the bold backbone of Nikka Taketsuru Pure Malt Japanese whisky. Adding Starbucks Reserve™ coffee, balsamic from Modena, a rich maple syrup, and Caffo Amaro del Capo completes this symphony of bitter and sweet. Starting with a base of freshly brewed Starbucks Reserve™ Single-Origin, this aromatic cocktail weaves bartender and barista into a single art. Basil Hayden’s Bourbon, bitters and vermouth complete the experience. Campari, sweet vermouth and smoky Zucca, garnished with an orange peel. Campari topped with prosecco, sparkling water and an orange slice. Aperol topped with prosecco, sparkling water and an orange slice. Campari and sweet vermouth stirred with prosecco, finished with an orange slice. 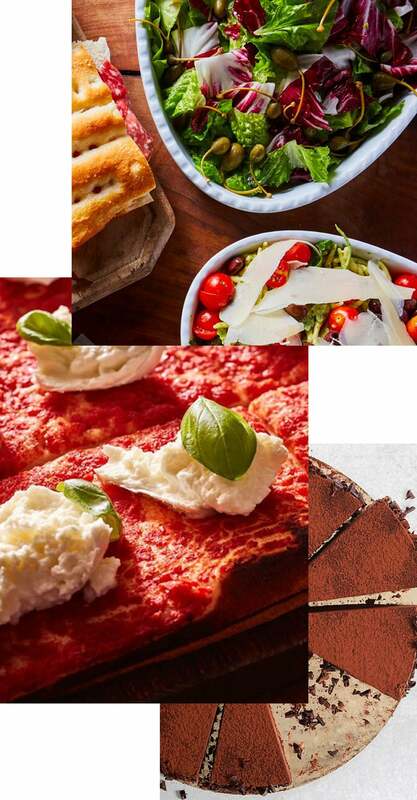 Eat, drink & live Italian. We partnered with Rocco Princi to bring his beloved Milanese bakery into the Roastery experience. Located inside each Roastery around the world, Princi offers an abundance of artisanal pizzas, pastries and bread. Everything is sourced without compromise, baked without shortcuts and enjoyed with all the senses. Fresh, earthy, aromatic breads are the heart and soul of Princi. Crafted from premium Italian-milled flour. Handcrafted pastries baked fresh daily with local ingredients. Delicious on their own; even better when paired with espresso. 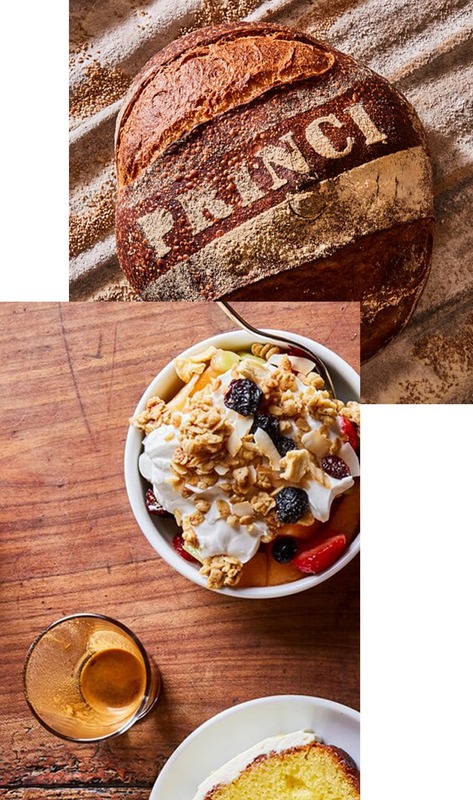 Morning menus may include Princi granola in Greek yogurt, classic cornetti with fruit jam or chocolate cream, savoury breakfast sandwiches with prosciutto and fontina cheese, and frittata. Colorful salads. Oven-baked hot dishes. Focaccia sandwiches filled with tomato and olives, ham and crescenza cheese, mozzarella, or pistachio mortadella. Crafted on a focaccia base, brushed with housemade pomodoro sauce and topped with premium ingredients like mozzarella di bufala, speck and scamorza, roasted eggplant and colorful peppers. Princi desserts are edible art; deliciously indulgent, beautifully crafted and impossible to resist. Offerings include fresh-baked cookies, rich tarts and chilled tiramisù.